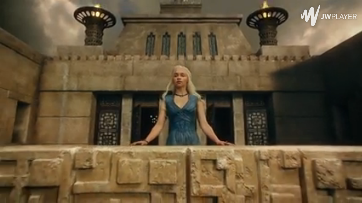 Daenerys frees the slaves of Meereen and crucifies their masters. Jaime continues training with Bronn, who tells him that he’s convinced Tyrion didn’t murder Joffrey. He visits his brother in his cell and comes to the same conclusion that he didn’t do it. He keeps his oath to Catelyn Stark, entrusts his Valyrian steel sword to Brienne, and asks her to find and protect Sansa. He sends Podrick with her as her squire despite her reluctance, saving his life. Petyr accuses Sansa of poisoning the king, and then drops hints that he was involved. Olenna Tyrell indirectly admits to Margaery that she is responsible for poisoning Joffrey, and then advises her to act quickly before Cersei can turn Tommen against her. She sneaks into his room later that night to gain his trust. The acting commander of the Night’s Watch keeps making Jon Snow’s life difficult at Castle Black and recognizes him as a valid threat to his position. He sends him to Craster’s Keep, where Bran and company have just ended up being captured by the mutineers. 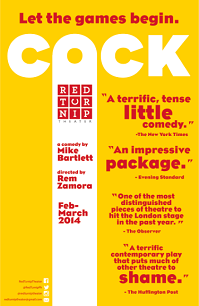 Now answering to the name “Reek,” Theon becomes Ramsay Bolton’s fool. Shae’s indiscretion leads to Cersei and Tywin discovering her as Tyrion’s whore, effectively putting her life in jeopardy, and forcing Tyrion to ship her to Pentos. Melisandre continues burning people alive as a sacrifice to the Lord of Light. Bran spends more time honing his Warg abilities, possessing his dire wolf longer and longer each time. Joffrey and Margaery wed. As Oberyn and Loras eye each other at the banquet, Jaime approaches the young Tyrell and tells him he would never marry Cersei. He responds that neither would he. Joffrey puts on a show of midgets mocking Robb and other claimants to the throne, making everyone uncomfortable, particularly Sansa and Loras. He embarrasses Tyrion before drinking his celebratory wine, which he asks him to serve. It doesn’t take long before he chokes and falls to the floor with blood rushing out of his nostrils. 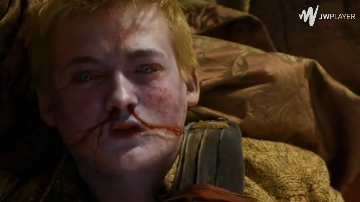 The king has been poisoned, and Cersei is quick to point a finger at his little brother as the culprit. 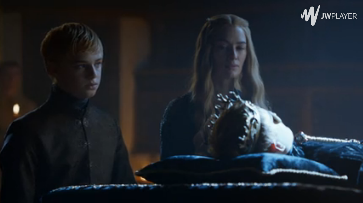 Jaime wants to serve in the King’s Guard again but Tywin orders him to return to Casterly Rock and rule in his stead. He tries to be intimate with Cersei, but she resists his advances and blames him for leaving her all alone to deal with what she has been through so far. Prince Oberyn Martell (Pedro Pascal) of Dorne arrives in King’s Landing and heads straight to Petyr’s brothel where he causes a mini commotion. He admits to Tyrion that he has come to avenge his sister Elia, Rhaegar Targaryen’s queen, who was rumored to have been raped and murdered by The Mountain. 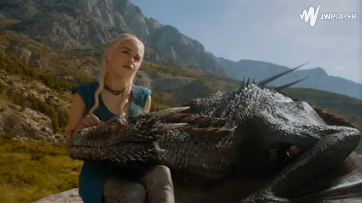 Daenerys confronts the dilemma of not being able to tame her dragons. She and her army march to Mereen in their quest to free more slaves. Jon Snow recovers and reports on what he found out about the Wildlings’ plan to invade Castle Black. Brienne reunites with Margaery and promises to one day make Stannis pay for Renly’s death. The Hound continues to travel with Arya and intends to bring her to her aunt, Lysa Arryn. On the way, they encounter the soldiers who killed her friend in Harrenhal. For the second time, she goes for the kill. 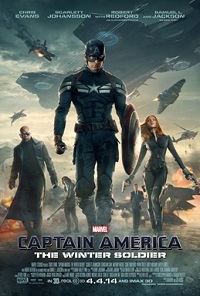 Captain America (Chris Evans) adjusts to modern life by doing what he does best: being a soldier. Now working under the tutelage of S.H.I.E.L.D. he teams up with the likes of Black Widow (Scarlett Johansson) and takes on missions set by director Nick Fury (Samuel L. Jackson). But some persistent tentacles of the past just can’t be totally severed. As all of them are caught unawares by a conspiracy decades in the making, they are forced to fend for themselves and trace the root of all their dilemmas, leading them to a not so distant past that has apparently survived to haunt them in the present. The plot thickens with the reemergence of Bucky Barnes (Sebastian Stan), not as the best friend Steve once knew, but as a brainwashed assassin for hire known by the moniker Winter Soldier. The two comrades face off amidst a changing landscape that will change the Marvel Cinematic Universe forever.